This site provides resources, information, ideas, and techniques to help you be a more effective and efficient Email practitioner. 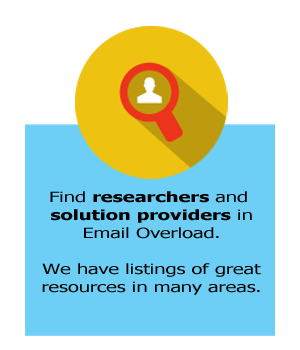 Welcome to Email Overload Solutions! This site provides you with the resources, information, ideas, and techniques to help you be a more effective and efficient Email practitioner. As always, feel free to contact me if you have any questions or need any assistance..